Have a secret side account: As part of your ongoing research, you always need to know what competitors, related brands, and influencers in your industry are doing. But you don’t always want these accounts to know you are following them. We use our secret account to research new hashtags, picture ideas, and trends, and to gain insights about the industry. We apply some of what we learn from our research to our own account. Knowing current trends will help you generate ideas and keywords, but don’t simply copy others’ ideas. Use your research to inspire your own creativity and innovation. 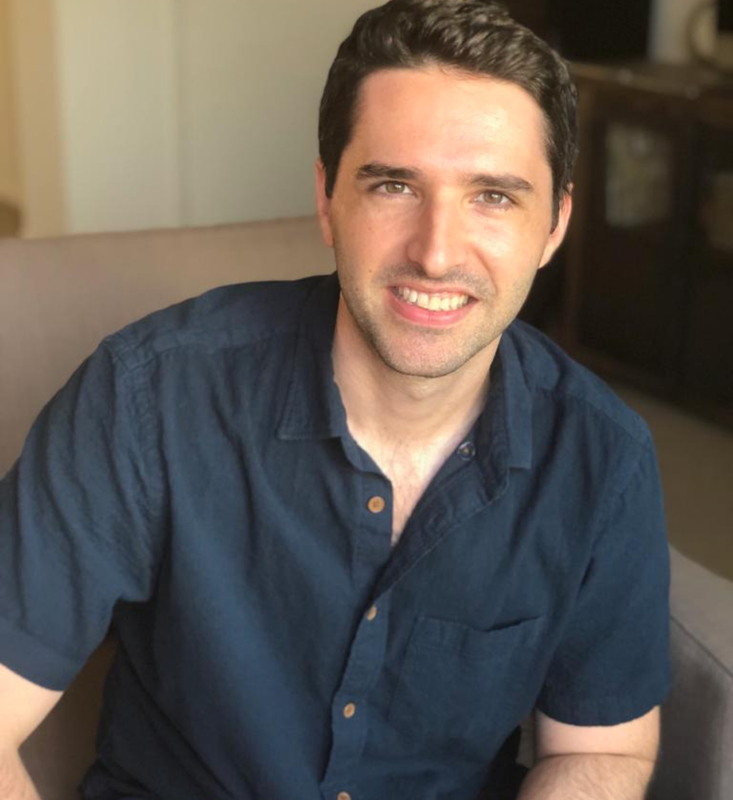 I had the pleasure of interviewing David Kovalevski. 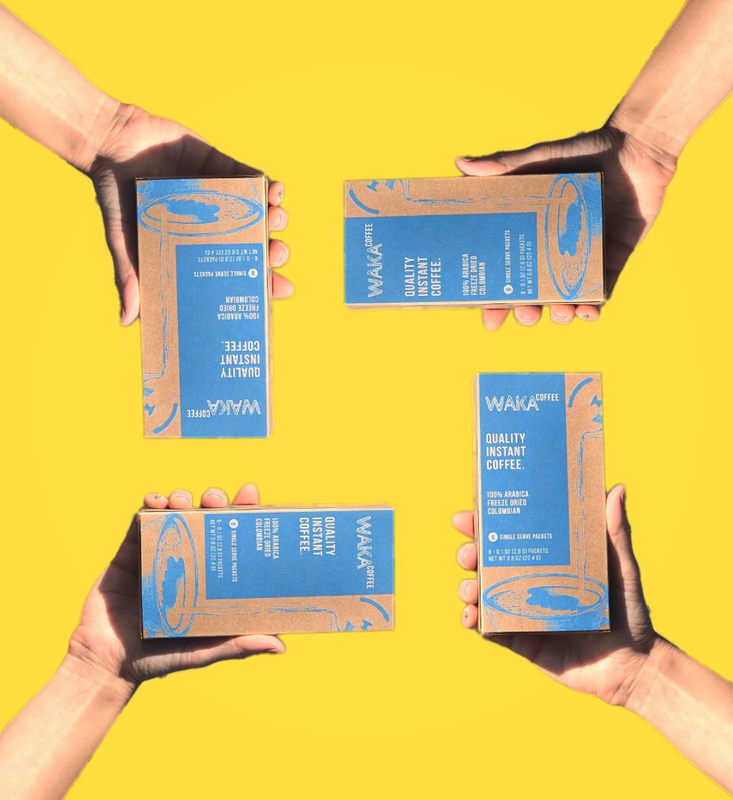 David Kovalevski is the Founder and CEO of Waka Coffee (wakacoffee.com), a quality instant coffee startup that is on a mission to reinvent the instant coffee category. It tastes like a slow drip coffee minus all the hassle of making it. It is made of 100% Arabica beans, freeze dried to preserve the original beans’ taste and aroma. They even donate a portion of their sales to support clean drinking water initiatives around the world through their “Add Water, Give Water” program. 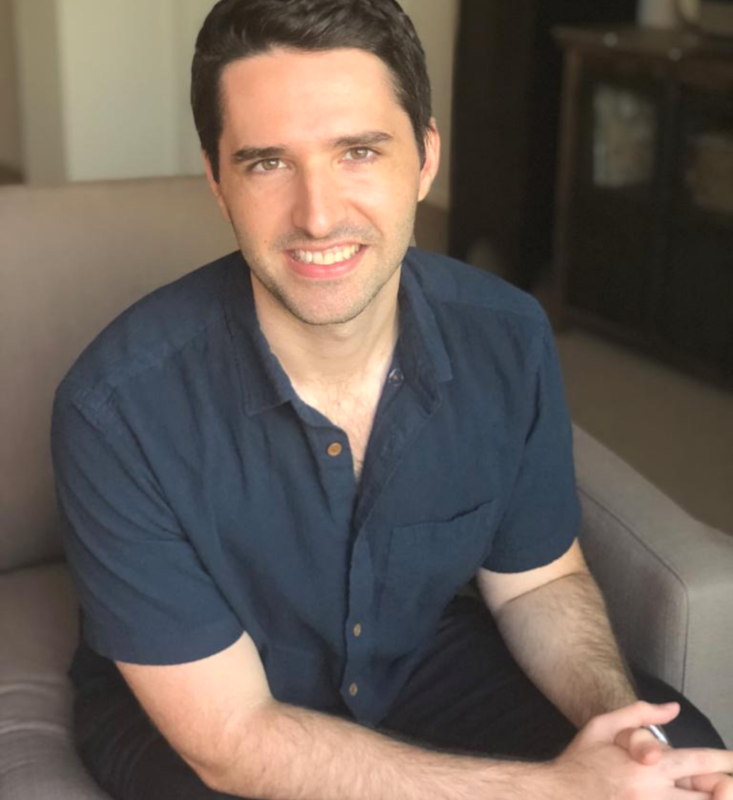 Before starting his venture, David worked as a Marketing Program Manager in New York City, helping some of the largest technology brands in the world to generate more engagement with their marketing initiatives. He also has a military background and experience in government procurement and project management. I wanted to be an entrepreneur from a very young age. My dream was to open a coffee shop. When I was about 15 years old, I began collecting menus from local coffee shops to generate ideas for my future business. I eventually obtained a BBA in Digital Marketing from Baruch College in New York. While working in the marketing industry and formulating my business plan for a coffee shop, I realized the potential in the instant coffee industry. 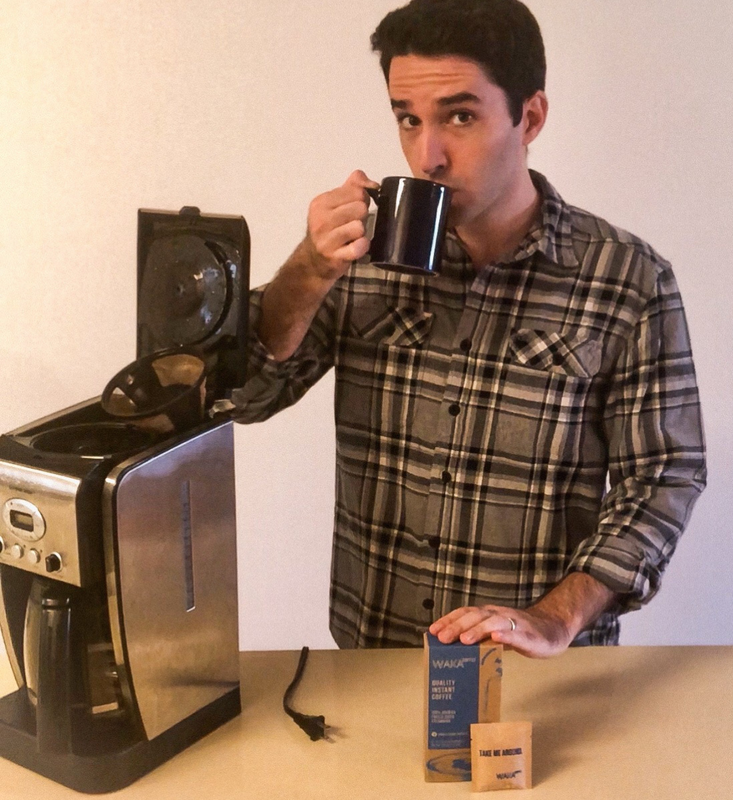 After working and studying full-time, I knew many other busy people would benefit from a simple-to-make coffee solution that is as tasty as it is convenient. I have a degree in Digital Marketing and worked in the marketing industry, which helped me understand the fundamentals of creating engaging content, acquiring customers, performing analytics, developing paid and owned marketing strategies. I see social media marketing from both perspectives — as a brand and as an “influencer” that promote other brands’ products. Most of my hands-on knowledge comes from working on the Waka Coffee account. We acquire many customers from social media, specifically Instagram. About 64% of all social referrals to our website come from Instagram, mostly from organic reach. It requires a lot of work and persistence. I also have an account dedicated to food and lifestyle content, which I use to promote both Waka Coffee and other brands. Like a true millennial, the third Instagram account I operate is for my cat. Between these accounts, I have a total of 44K followers. I create new content almost everyday on Instagram, Facebook, LinkedIn, Twitter, and Pinterest. 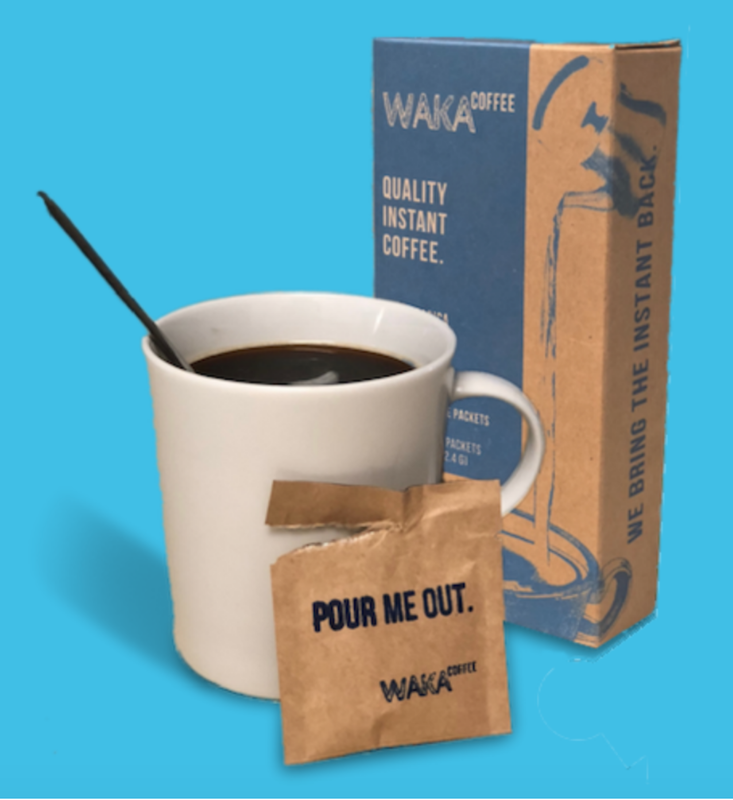 I started Waka Coffee without prior experience in the food and beverage industry. I listened to so many industry-specific podcasts and read professional blogs, which have taught me a lot about the CPG industry. I took bits of pieces of information from various success stories and tried to apply other entrepreneurs’ tips to my own business. The interesting part is that it works! I acted on some of their suggestions, such as reaching out to bloggers and journalists and sending them samples of our coffee. I had no experience in PR and had no money to pay for it, so I just sent different versions of my pitch to as many outlets as possible. I continued with the versions that worked and started getting coverage in influential coffee blogs, which boosted sales and brought new followers on social media. I started investing time in my non-company accounts long before I launched Waka Coffee with the intention that they will help me generate more awareness to the business. I researched some of the most popular accounts and realized that cats do really well on Instagram! Who wouldn’t like a cute cat’s picture? Well, my wife and I happen to own a cute cat, so I opened an Instagram account for our cat, Boris. I worked non-stop on Boris’s account to generate as many followers as possible. One time, I wanted to check the account while at work, and opened Instagram on my desktop computer. Right when Boris’s entire feed loaded on my screen, my boss walked up to my desk. I had to quickly come up with an excuse as to why I was looking at kitten pictures at work… I learned that you should work hard on your accounts, but you also need to limit the time you spend on social media. It can be addicting to monitor your performance all the time, but it’s not a healthy habit. I have different goals for each of our social media accounts. By far our most revenue-generating platforms are Instagram and Facebook. Twitter and Pinterest help us with SEO, while LinkedIn helps us to gain exposure from potential investors, buyers, and leaders in the industry. We have recently also started generating more content by collaborating with YouTube bloggers. I can’t quantify the effectiveness of these platforms yet, but Instagram and Facebook allow you to clearly understand revenue stream attached to these channels. A good story I have is about one way we generated revenue through Instagram. A small local store found us on Instagram and emailed us through the email in our bio. They ended up placing a bulk order through our wholesale channel. In that case, Instagram helped us with awareness and with building the buyer’s confidence in our product, even though the sale didn’t come directly through Instagram. 1. Think like an influencer: I have three Instagram accounts that I manage. @eatfoodsipcoffee focuses on food, @wakacoffee is our business account, and @yesitsboris is for our cat. My food and cat accounts help me promote the business, but they also give me the opportunity to work with other brands by promoting their products. I get to see how other brands contact me, which helps me understand how to write an effective, feasible ask. I try to approach other influencers how I would want to be approached. 2. Don’t DM — email influencers: Many businesses direct message influencers or other brands they want to partner with. First, Instagram categorizes some messages as spam and delivers them to separate inbox, which nobody really checks. Second, I rarely read DMs because 90% of them are automated messages or solicitations. Influencers do read their emails, and a brand that sends a professional email looks more appealing to partner with. I have seen about 80% more responses by emailing instead of direct messaging. 3. Become an Instagram authorized seller: This is relevant if you have an ecommerce business. Apply to become a seller on Instagram so you can tag your products in your images. This eliminates the need to write “link in bio” in every caption, because it allows customers to click on the picture and get redirected to your product page. We have seen an uptick in traffic since applying the tag product function. 4. Be consistent with your theme: Make sure your business is aligned with the type of pictures you post on your account. Otherwise, you might see engagement from people who are not really interested in your product or services, which will not help you make sales. Make sure to also use relevant hashtags that align with the same theme. 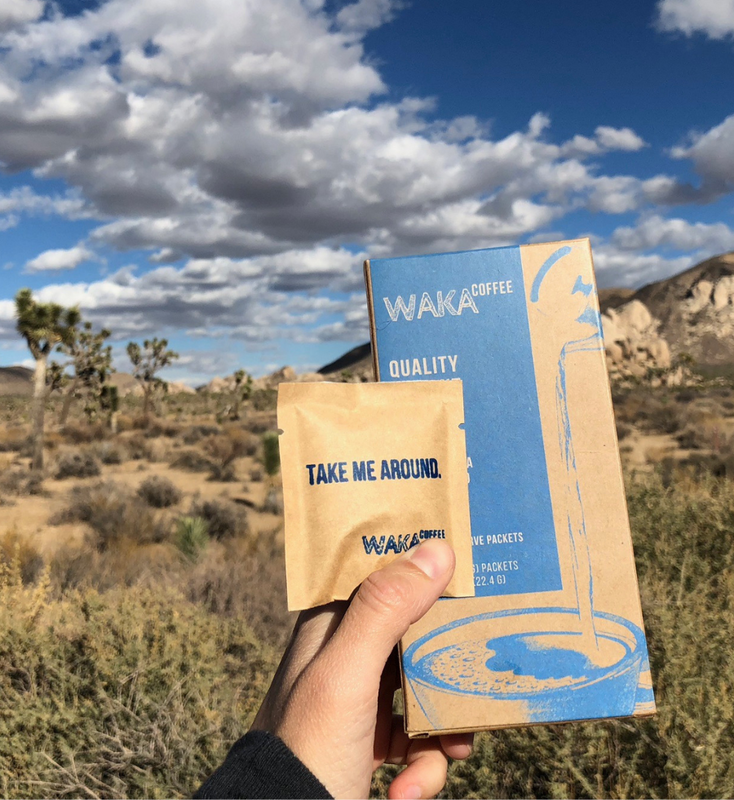 Waka Coffee is focused on the convenience of using instant coffee with a marketing approach geared towards millenials, so we post a lot of lifestyle and food pictures. Our pictures show how easy it is to carry our product around and how fast it is to make quality coffee. 5. Know your calendar: Posting on a regular basis is very time consuming. We have a calendar of when we post, and we prepare the posts in advance. Although I did suggest to post pictures related to your theme, I recommend mixing it up sometimes for holidays and other special events. It will help your brand to remain relevant and appear on holiday-specific hashtags, which can bring in new potential customers. We still feature our product in these types of posts, but they were not necessary aligned with our overall theme. 6. Have a secret side account: As part of your ongoing research, you always need to know what competitors, related brands, and influencers in your industry are doing. But you don’t always want these accounts to know you are following them. We use our secret account to research new hashtags, picture ideas, and trends, and to gain insights about the industry. We apply some of what we learn from our research to our own account. Knowing current trends will help you generate ideas and keywords, but don’t simply copy others’ ideas. Use your research to inspire your own creativity and innovation. While I was developing Waka Coffee, I realized the huge amount of water waste that the coffee-making process generates. It was really important for me to tackle this problem with our brand. This is why we donate 4% from our sale price of each instant coffee box to support clean drinking water initiatives around the world. Access to clean drinking water affects every aspect of life, such as health, wealth, education, equality, and much more. Currently, about 633 million people in the world live without clean water. For reference, that’s twice the population of the United States! There are many great organizations that support this very important cause, and I believe there should be more awareness around this issue, especially in the business community. There has been a lot of attention to other social issues in the coffee industry, such as fair trade, but little attention has been paid to the water waste problem. I would like to start a movement in the coffee industry that puts more emphasis on giving back to clean water initiatives. If we can bring more awareness to this problem, I’m positive there can be a change. I would be honored to meet Hamdi Ulukaya, the founder and CEO of Chobani. I view him as an example of the success that is possible when you have a goal and are determined to achieve it. Like Hamdi, I also immigrated to the US from the Middle East (he is from Turkey and I am from Israel). I read a ton about Hamdi and his business before starting Waka Coffee, and his story embodies what I want to become one day. He is well-known as a strong supporter of innovative food startups through Chobani’s incubator, and he recently invested in the coffee industry. Hamdi’s advice would be invaluable! Thank you so much for this opportunity, and the special mission and cause you support in your articles.